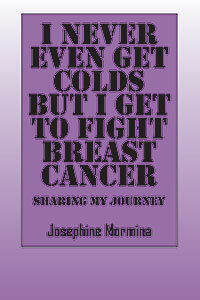 Josephine Mormina’s “I Never Even Get Colds But I Get To Fight Breast Cancer.” In this candid biography Josephine shares her initial denial of breast cancer as well as her struggles and insecurities. She shares her journey and what worked for her…and her triumph! Previous Previous post: Need Help Getting the Word Out? Here’s How. Next Next post: Book lovers are buzzing about BookExpo America!